Tampa Bay Waterkeeper works to protect and improve the Tampa Bay watershed by combining sound science, policy advocacy, grassroots community engagement and education. We use this approach to stand up for clean water together as a community, ensuring a clean and vibrant future for the Tampa Bay watershed. 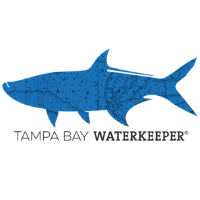 Tampa Bay Waterkeeper, a 501(c)(3) non-profit organization, is a member of the Waterkeeper Alliance, a movement founded by Robert F. Kennedy, Jr. that empowers individuals and communities to protect and improve their local watersheds. Tampa Bay Waterkeeper researches issues diligently and works collaboratively with citizens, local organizations and governments so that together we can find the best solutions to supporting fishable, swimmable, and drinkable water.